January 17th marks 1 year for my and All Things Genuine. My 1 year blogiversary. It really has been a successful blogging year for me. 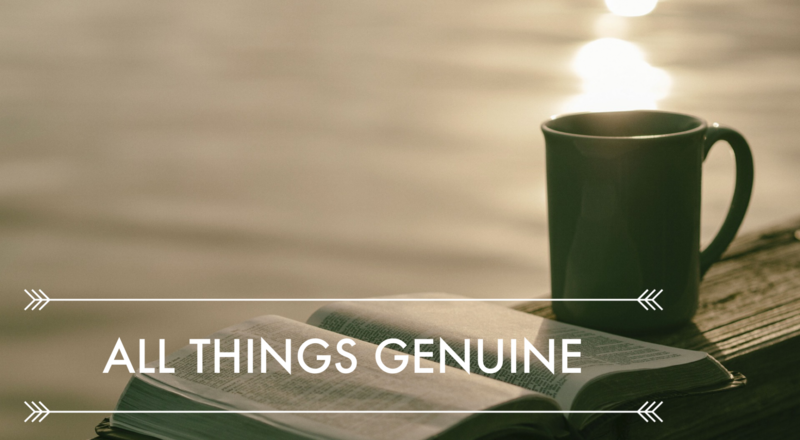 All Things Genuine started out as a place for me to share my thoughts. Share our lives and the things we learn and love. I wrote some great DIY post, informative Natural Cleaning, Living and Eating posts and several post on my grief. All Things Genuine has been a place of healing for me. I think some of my best writings have been about losing my daddy and how I am handling it. How God is working in my life and how I was trying to shut him out. I have to say, I love to blog. Whether one person reads my work or 100, I want to share with others. I want to be an encourager to others. As a believer in Jesus, He has given me the gift of Encouragement and I want Him to use me and All Things Genuine to encourage others during their grief, the pain of loss, struggles in marriage, parenting and caring for their parents. This next year, I want to focus on Jesus. Focus on how I can share the Gospel and Encourage others in their walk. I haven’t decided exactly how I will do that yet. I am thinking of a daily or weekly verse on Hope, Joy and/or Peace. Something to get things started for the day or week. To bring focus to the day or week. I’m not sure yet. Any thoughts? For those of you who may be looking at blogging and want to see how I did in a year, I thought I’d share with you my year in numbers. As you can see, I’m not super popular and I am not making my millions like so many bloggers post on Pinterest. But I love what I do so I paid for another year to blog to my hearts content. I hope you will join me. Give me your thoughts, and ideas of what you’d like to see here on All Things Genuine. Leave them in the “Leave Reply” link above. Congratulations on your upcoming 1 year anniversary!! I’m so glad that you get such enjoyment in doing this, as well as benefiting others from your life experiences, Sabrina. Here’s to another successful and fun year for you on your blog!! You do a great job!! Thanks so much mom for all your support. You’re awesome!